Mountain Sweet Honey Company is a family-owned business located in the North Georgia mountains. 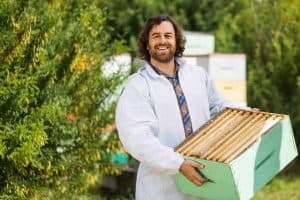 We offer package bees, hives, beekeeping supplies, and professional advice to beekeepers across the U.S. We are in the business of bees and proudly serve beekeepers in the Chicago region. Chicago. Illinois is home to landmarks such as Willis Tower, Millennium Park, and Cloud Gate. Situated on Lake Michigan, Chicago is one of the largest cities in the U.S and is famous for its bold skyline, which is filled with skyscrapers, sculptures, and towers. We proudly serve clients in the Chicago region with all their beekeeping needs. Mountain Sweet Honey Company is committed to supporting Chicago beekeepers by offering the highest quality bees and beekeeping products. We also offer professional and informational instruction for beginners, advanced and novice beekeepers. We have package bees for sale, and beekeeping supplies for the beehive – whether it’s for a hobby or commercial beekeeping. We ship bees on a weekly schedule from mid-March to May. Whether you’re an experienced beekeeper or just starting out, we have everything you need. Mountain Sweet Honey Company is the #1 shipper of Italian bee packages in the mid-west and on the East Coast. 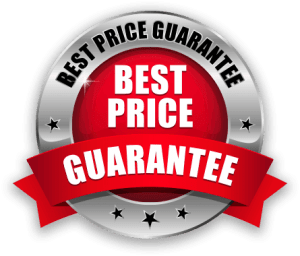 Our skilled customer service representatives are trained in all things beekeeping and happy to assist you in determining exactly what supplies you need and advise you on the best ship date for your bees. No matter your experience with beekeeping, we have all the knowledge and supplies you need. We proudly offer Langstroth bee hives, which is the most common hive body in the United States. We locally manufacture our own bee hives with premium wood from New Hampshire. Each hive is manufactured with a focus on value and quality craftsmanship. We have 3 lbs package bees, nucs, and bee hives for sale. Our clients are like family to us and we aim to provide the highest quality bees and supplies on the market. All our bees are Georgia grown utilizing organic management practices. Our bees are inspected by the Georgia Department of Agriculture and will have a Georgia Department of Agriculture Health Certificate stapled on the outside of the shipping crate. We have packaged bees for sale for the 2019 bee season with multiple shipping dates available. We proudly offer Italian honey bees and fully understand how to safely ship bees. To offer the best customer service possible, we insure our honey bee shipments, but you can be sure, our honey bees are shipped properly, promptly, and with great care. You can rest easy if you order your bees from Mountain Sweet Honey Company because your bees are guaranteed to arrive healthy. No matter the number of hives you have (or your experience), we have a complete line of beekeeping supplies to supply all your beekeeping needs. Mountain Sweet Honey Company offers hive tools, extractors, and protective clothing which are essential for beekeeping. Our beekeeping supplies also includes 8-frame or 10-frame hive bodies, frames, foundation, screen or solid bottom boards, and telescopic covers. We have all the bee health essentials for honey bees. If you’re a beginner, we offer first-year hive kits that have all the necessary beekeeping supplies for a successful and productive bee hive. Beekeeping is a lifestyle and it’s a lifestyle we love. While it started out as a hobby, the demand for high-quality bees continued to grow and we simultaneously grew to meet the demand with the birth of Mountain Sweet Honey Company. We started out slow, simply adding to our number of hives, but we eventually morphed into a full-time business devoted to supplying beekeepers with high-quality, chemical-free bees. Our purpose has always been to execute our orders with outstanding customer service. In 2017, Mountain Sweet Honey Company became the #1 shipper of honey bees in the mid-west and on the East Coast. Our loyal and repeat customers, our understanding of the logistics of shipping honey bees, and our dedicated employees are the heart and spirit of our business and its this combination that continues to contribute to our growth and success in the beekeeping world. If you’re a beekeeper, or just interested in learning more about what it takes to become one, contact us today at (706) 886-1322 and one of our customer service representatives is happy to assist you.